MotherhoodLater.com - World’s leading newsletter, website and community for midlife moms: GUEST BLOG POST: Getting Your Life Back - by Victoria McEvoy, M.D. GUEST BLOG POST: Getting Your Life Back - by Victoria McEvoy, M.D. One of the chapters in our newly published book for new parents is about finding that accomplished woman you left behind when this new little baby tyrant entered your household. It is not that you regret letting this new little person into your life, but at some point you may wistfully wonder why your old friends are not enjoying your tales about the miracle baby, or why you have not regained that toned pre-baby shape that you worked so hard for, or why your life seems to revolve around pumping breast milk, washing those little outfits, feeding, changing diapers, and trying to catch some shut eye between feeds. Not only does your partner not find you so interesting, but you are a little bored with yourself. But, how do you regain that edge when going for a walk with the baby seems to be a major undertaking requiring huge organizational skills and time management expertise? Once the household seems to be getting back on an even keel, make some time for yourself. Spontaneous “mommy” .time is not an option ; free time requires planning. Decide what it is that will make you feel whole again and arrange for a babysitter or a partner to take the baby. You may want to go to the gym, work with a personal trainer, have lunch with a friend, get back on track with work, or just be alone to read. It is a good idea to get out of the house. Don’t forget after the first week or so, unless there are extreme weather conditions, your baby can get out for a walk with you in a snuggly and later in a stroller. New mothers often feel isolated so making connections with others is important. Be sensitive to old friends who don’t have children. They may not find you r tales from the crib as scintillating as you do. Finding other new mothers on line or at the gym or park can be lots of fun because they do want to talk about breast feeding, car seats, and vaccinations. And don’t forget to laugh. The worry and responsibility of caring for another human being can be so overwhelming that new parents forget how to have fun. Have a date night with your partner, go to a movie, or just relax and let it go for a few minutes- at least until that soft whimpering next door turns into a full-blown wail. Victoria McEvoy, M.D., is the author of “The 24/7 Baby Doctor: a Harvard Pediatrician Answers All Your Questions From Birth to One Year.” She grew up in New York, and after attaining the rank of #3 in the USLTA tennis rankings for women in the U.S., left tennis to pursue a career in medicine. She graduated in 1975 from Harvard Medical School and trained at Boston City Hospital, New England Medical Center, Children’s Hospital, and Mass General Hospital. She has been a practicing pediatrician in the greater Boston area for over thirty years. She celebrates her thirty-eighth wedding anniversary this year with husband Earl, and together they raised four children. Dr. McEvoy is a senior pediatrician on the staff at Mass General Hospital today and has attained the rank of Assistant Professor of Pediatrics at Harvard Medical School. 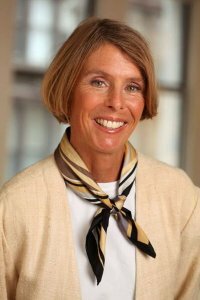 She currently divides her time as the Medical Director and Chief of Pediatrics of Mass General West Medical Group between clinical practice and administration. She had a column called “The Exam Room” in the Boston Globe and has written extensively for various publications. She is the former Associate Editor of the “Harvard Medical School Family Health Guide”. ROBIN'S SHOW RECOMMENDATION: Curious George Live!